Adam Hamilton, you’re not helping! So, why did the goats turn people away who were in need? I think it was because they were afraid and they allowed their fear to override their compassion and humanity. And the sheep? They found the courage to overcome their fears and to act with compassion and love. I’m sure the “goats” failed for a host of reasons, which likely included fear, but that’s beside the point. Here’s my problem: Jesus’ words here are about nothing less than Final Judgment, salvation or damnation, heaven or hell. Does Hamilton really mean to say that the difference between those who are saved and those who are lost comes down to our ability to “find the courage to overcome our fears” or not? I’m guessing Hamilton doesn’t mean to imply this. After all, like me, Hamilton is a Wesleyan-Arminian. He’s supposed to know as well as I do that while we cooperate with the Holy Spirit (theologically, we’re synergists, not monergists), even our cooperation is made possible by grace, such that none of our good works contributes anything to our salvation. But if Hamilton isn’t talking about salvation, why does he use this particular parable, in which nothing less than salvation is at stake? Where’s the gospel? Where’s grace? As I said in my previous post, if we rely on the gospel of good works, we’re all in trouble. Maybe in the instance of Syrian refugees, Adam Hamilton and others are “overcoming their fear” through their advocacy. But aren’t there plenty of other times in his life when he fails to “overcome his fear”? Aren’t there at least thousands of times in his life when he “did it not to one of the least of these”? Will he be condemned to hell for these failures? Of course not! Why? Because we’re saved not because of what we either do or fail to do, but because of what Christ has done for us! Otherwise, we’re doomed. Hamilton knows this. I just wish he would say it! When we pastors use this parable to say something about works of mercy, which is perfectly appropriate, we need to also say that these works are a sign of salvation, which comes to us as a free gift from God by grace through faith alone. By all means, there’s a warning here: Saving faith will include good works. And if we’re not doing these things regularly, in spite of our many failures, then it may be a sign that we haven’t truly trusted in Christ. The apostle James makes this point repeatedly. But this isn’t Hamilton’s point here. Like many others, he’s preaching the gospel of “try harder or else.” And that gospel can’t save us. This entry was posted on	November 20, 2015 at 10:56 pm	and is filed under Uncategorized. I’m not sure I follow. If you’re saying the disconnect is related to repentance, even that is made possible by grace. Repentance isn’t a meritorious work. There is no “well enough” when it comes to repentance. I am in agreement, I am just saying that I think this applies to our lack of ability to repent perfectly too. Ultimately, all we can do is appeal to Jesus with regard to that as well. Brent, the Sheep and the Goats parable in Matthew 25:31-46 makes no mention of being saved by grace through faith. 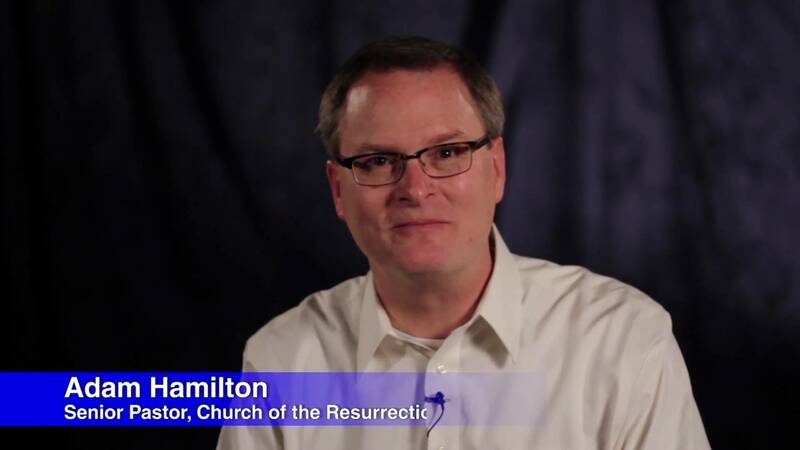 So, if Adam Hamilton didn’t mention it, maybe that’s because Jesus didn’t mention it either? Let’s cut Adam a bit of slack here. We all understand – as did John Wesley himself – that we are saved by grace through faith (Eph. 2:8-9). But don’t leave out verse 10, the evidence of God’s saving activity in our life, the “good works that God had prepared in advance for us to do” (Eph. 2:10). So, Paul and James are just 2 sides of a single coin. I hear Adam channeling James in this case, a faith without works being dead (James 2:17). Now, could Rev Hamilton have been more clear? Probably, but you can’t say everything in a single sermon. I suspect that regular church goers at Church of the Resurrection would have a broader context of many sermons preached week after week by which to interpret what their pastor said that day. And if I may add a friendly observation, I’ve noted that whenever you mention Hamilton, it’s always in a negative light. Does the man ever do anything right? And to practice what I preach, I enjoy following your blog. Keep on keeping on, brother. 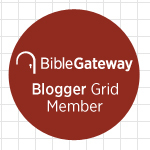 Blogging is an excellent spiritual discipline, and you’re an example to us all. Shalom! Do you interpret Jesus to be saying that we’re saved by works? I don’t. For one thing, are they sheep because they do these things or do they do these things because they’re sheep? I know how most of the Christian tradition, not to mention our Wesleyan tradition, has answered the question. Regardless, we don’t have this one passage in isolation. We have the whole counsel of God in his Word. Also, to whatever extent I speak negatively of Adam Hamilton, I don’t attack him personally. I disagree with many of his recent ideas, and I give reasons why. Isn’t that fair?